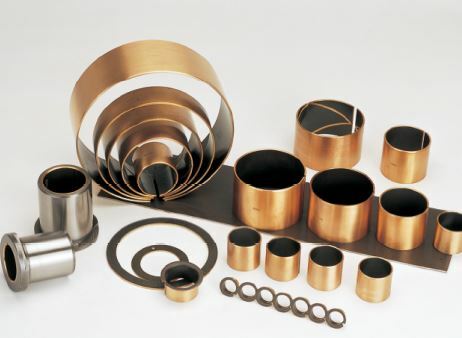 Metal Polymer Composite Bearings - CSB Sliding Bearings India Pvt. Ltd. 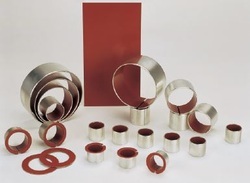 Suitable for dry running, low coefficient of friction, lower wear, good sliding characteristics, the transfer film created can protect the mating metal surface, suitable for rotary and oscillating movement. 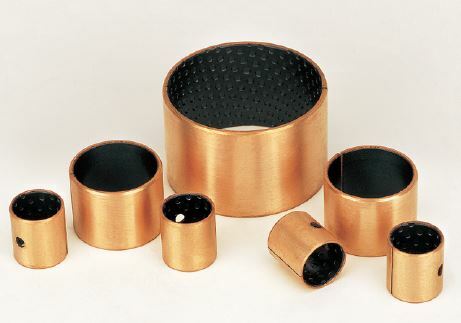 Very high chemical resistance, low absorption of water and swelling, also performs very good lubrication feature, the bronze backing provides the improved corrosion resistance comparing with CSB-50. damping behaviours, good resistance to shock loads. resistance, low absorption of water and swelling. The CSB-40 improved the friction and much good wear resistance over the common CSB-50 range under lubricated operation. film created will protect the mating metal surface. Suitable for rotary and oscillating movement, high chemical resistance, lower absorption of water and reduced swelling. Also performs well with lubrication. CSB-80 bearings application covered gear pump, ABS system, piston pump, gear motor, machine tools, agricultural machinery and so on. 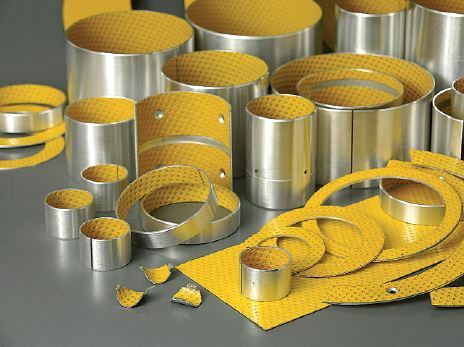 The materials is recommended with initial pre-lubrication at assembly.